Discussion in 'Audio Visual' started by vladtepes, Oct 14, 2017. 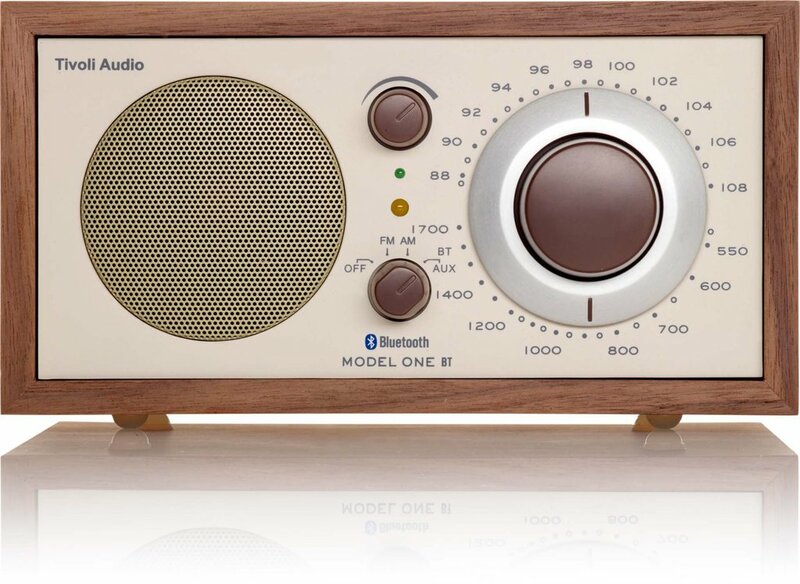 Looking for something to replace the old kitchen radio with. HOWEVER I've now read a heap of reviews and many users report being extremely disappointed with the Bose sound quality, contrary to what one expects from Bose. Anyone know anything about the Yamaha TSX-B235D, for example? I'd very much appreciate if people can offer alternatives, particularly those with a system they are happy with. If I could get something as good or better than the Bose for less $ I'd be all ears !!!! disappointed with the Bose sound quality, contrary to what one expects from Bose. Only because of highly successful marketing. Don't get me wrong, they sound pretty damn great for their footprint, and I think that's what amazes people when they hear them. I could be wrong here, I'm not an audiophile (compared to avg Joe I am, but not within audio community) but I believe it's due to Bose overemphasizing the midbass/midrange frequencies in order to make the sound more exciting. But it means they are not known for accuracy. Yes, you are correct, you can get much better sound quality for the $ than Bose. (edit: my apologies I didn't read close enough what you meant by small, Bose does do very small well). I'll let others more knowledgeable than me make gear recommendations but I would say you need to provide a budget for good responses. That looks cool Walter but doesn't even appear to be stereo! I work in the industry and have extensive experience with all the Bose, Yamaha and tivoli options presented thus far. The Yamaha doesnt have wifi and sound quality is only adequate - about what you'd expect for the size and price. The Tivoli goes loud but doesnt sound particularly good, nor does it have wifi (I own one). The Bose wave soundtouch is actually pretty decent compared to the first two options but wont blow anyone away with sound quality. Drop the cd playback requirement and it opens up your options a lot. Thanks HK... I really appreciate your advice. The prices of those units is escalating... and while I appreciate that high quality and low price are generally mutually exclusive, I was hoping to spend a bit less than that. Of the two you mention - what makes the HEOS $320 more expensive than that Bose (value-wise)? ... contrary to what one expects from Bose. Unless you actually know audio... In which case, you know it's normal. I'd go with Heos or Sonos (Play 1 is not bad for the $290 they cost - you don't need bluetooth if you have wifi), Heos probably better for Audio. For the love of God please buy from someone other than the linked site. Also, avoid Bose if ease of use means anything to you. Buy one of the Denon micro hi-fi systems from 10 years ago and add BT/Wireless/whatever via a HiFi Berry Raspberry Pi implementation fed in via AUX. I want something my missus can operate Very easily - she's certainly no tech-head. Having said that, I have always liked Denon gear and this does seem like a great unit! And would probably keep the missus happy as is! Can anyone suggest how I might go about sourcing one of these? Where to put up 'wanted' ads or where people selling such a thing might advertise? while last years model, the Denon D-M40DAB ( review ) is very similar (and no doubt cheaper). The M41 has Bluetooth connectivity. So which would be more useful? I assume the Bluetooth relies on the data being held on the phone, which isn't the case. What I really need for that is 'proper' wi-fi connectivity (which none of these have). In which case the M40 might be the better option for me. Then if I subsequently decided I 'needed' streaming I suppose I could set up a raspberry pi system to stream via plex or similar? Can anyone recommend a good Denon dealer in Brisbane? edit: Just saw the -41 is $999 which is a tad steep for something without proper wifi. Can't find an -40 prices. And what about this thing? Any good? I can't give reviews, but let's just say I've been in this industry since 1995, I'd suggest Uncle Steve at Eastwood hifi as someone that will you sell what you need, rather than what they want, and at a good price. Who is Uncle Steve ??? That seems to be in Dural, rather than Brisbane - but I assume you mean they/he is good to deal with over the phone? I'm still researching because I want to have some idea of what to ask for when I ring ?! I then had it plugged into the Denon (as mine has a 120V output on the back of it) so the HiFi Berry turns on when the amp does. The software is pre-compiled and easy to use. there's instructions on their website. As far as your missus goes, it 's the kind of thing you set up once, then it just works, so all she'd need to do is turn the amp on and then her phone will see the Bluetooth/wireless etc. works seamlessly, but I do use mine with Apple AirPlay which is well supported. There's probably pre-made more better options, but this is what I use, as I had an old Raspberry Pi lying around I never got to using properly - this pretty much put it into use 24/7 which makes me warm and fuzzy as I hate stuff that I buy then never use. As it was way too heavy to take home with me on the plane I sold my M35 system, maybe i'll buy a DAB41 system to match my speakers! Edit: How the frig is the M41 $999 in Australia? The RRP price here in the UK is the equivalent of $620 and that's off the shelf RRP???? Edit: They don't sell them to the Australia market. Ah. In addition to the extras you found yourself about the Heos 7, you would spend the extra because it has much cleaner bass and the clarity in the midrange and treble is noticeably better to everyone who hears both of them. The thing to remember with systems like the bose wave and the Yamaha 235 is that they are too small to achieve particularly good sound quality, especially with bass. For under $700, Id suggest something like the Yamaha MCR-N470. It has everything you asked for (Wifi, airplay, CD, net radio, FM, stereo speakers) and the RRP is $699. Pm me and I can get you one for $639 delivered. It is interesting... Affiliation with Eastwood hifi might be a reason (just guessing, I dont know zee but his advice on audio gear is spot on - dont know about the choice of shop). Life Style Store have dozens of positive reviews on google and facebook and have been open for 15 years, and have grown to become Australias largest independent AV specialist. I work there and we carry the largest range of brands, and do not import anything ourselves so we are in a unique position to offer unbiased advice about which brand is best for the individuals needs. Our pricing is extremely competitive and we are usually matched with the lowest prices you'd find online, and on any given day there are 3 or four guys working in the home audio dept that are happy to take the time to explain your options in depth and steer you in the right direction. firey4059 and vladtepes like this. I'm not affiliated with Eastwood Hi FI in any way, apart from knowing Steve since about 1995 - but I've known a lot of the guys in the industry that long (or close). To be fair, it is a particular store in question, so probably has nothing to do with the others (and may likely a specific person), and more so specifically in the high end/custom field. Anyway, I really don't want to push any undue bad PR, so will stop it at that. Shop around and quiz the sales person, if they know what they are talking about (which HK does), and you're getting a good deal, then they have earned your money. Honestly, above all else, never go to a big box chain to ask for AV advice. By that I'm obviously talking the Hardlee's and the like. they truly know nothing, Jon Snow! Well I still haven't bought anything yet due to $. Will need to see if any changes in the last 12 months. Frank Bose used to say, "minimum outlay equals maximum profit" And that just about sums Bose up. In short there crap. But they spend an apsolute fortune on marketing and advertising, and there experts on selling to the great un-washed, who know nothing and are easily impressed. The most important thing about Bose is they never release or publish any specifications on there products. So what does that tell you. It tells me they have something to hide. As others have said, visit as many HiFi establishments as you can, and judge by what you hear in different systems. Then go to Eastwood and make your choices. There not the biggest retailer of Yamaha and Paradigm in the southern hemisphere for nothing..
As far as cost goes, you did ask for " small high quality stereo system" But no talk of a budget. vladtepes and sir_bazz like this.